Handling events inculcates the skills of planning, administration, team work, creativity, networking and crisis management in students. 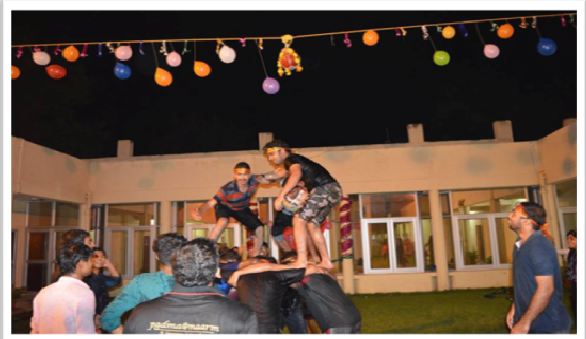 Sanskriti essentially looks to organize various events and festivals in campus to bring the students together and give them a platform to showcase their latent talents. Objective of the Sanskriti is to train professionals able to address all the phases of conception, design, realization, and management of cultural events – at whatever level – with an operational approach codified through experience. Establish a flagship annual ‘REUNIRSE’ cultural festival, focusing on and celebrating Alumni Meet of PGDMA. Provide a program of events which engages and inspires the interest of the students in many forms of culture and art. Deliver programs unique among other literary festivals in paying homage to the local landscape. Here the students are trained to apply key business skills and analysis to cultural events including event management, strategic management, strategic marketing, HR, Finance and fundraising. 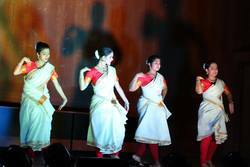 Students giving stage performance in an event organized by Sanskriti club.